Allen, who is 57, said today that he plans to leave the majority of his $13 billion estate to philanthropy to continue the work of his foundation and to fund scientific research. Who benefits from this research, which often involves someone’s patents? We covered this subject many times before and provided countless examples. To be fair here, many rich families created this kind of loophole for themselves (taking from society while being portrayed mostly as givers), so the criticism applies more broadly. Looking at Mr. Gates, the guy has massive investments in Exxon [1, 2], which has just been exposed for still spending millions lying about global warming. ExxonMobil gave $1.5 million to climate deniers and industry front groups known for working to create doubt about global warming, attacking the integrity of climate scientists, and protecting the status quo for polluters, according to a front-page story in the Times of London today. 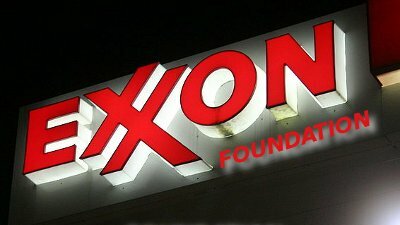 Contrary to its stated commitment to stop funding climate denier groups, the Exxon funding spigot remained as open as the BP gusher, continuing to pollute the media landscape with oil-soaked misinformation designed to cripple international action on climate change. People ought to ask Gates, how does he feel about funding companies like these? He keeps pretending to care about global warming while investing in other oil companies like BP, whose offences are even more serious at the moment. As our reader Patrick put it earlier today, “BP shot a load of toxic chemicals into the Deepwater Horizon well to get around waste disposal laws” (and there is an article supporting the allegation). In Kenner, La., a new round of hearings on the Deepwater Horizon explosion opened Monday with members of a government panel pressing the chief rig engineer to expand on an earlier statement describing the chaotic final moments on the burning rig. Apparently BP is no more adept at doctoring photos than it is at plugging deep-sea oil leaks. A blogger has noticed that the oil giant altered a photograph of its Houston crisis room, cutting and pasting three underwater images into a wall of video feeds from remotely operated undersea vehicles. The altered photo is displayed prominently on the company’s Web site. And these are the sorts of companies that Gates’ so-called ‘charity’ puts his money in? For profit? As investment? Well, to be fair, it’s not as though BP is a good investment at the moment. BP denied a report its embattled chief executive would leave soon, as it lined up $7 billion in asset sales to help pay for the worst oil spill in U.S. history, lifting its shares on Wednesday. BP’s market value has fallen by around 40 percent since an explosion on an oil rig killed 11 people on April 20 and sent oil gushing into the Gulf of Mexico, soiling the coastline and devastating tourism and fishing industries in the region.